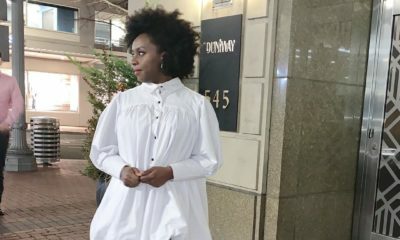 A new book by influential Nigerian author Chimamanda Ngozi Adichie is a BIG deal! 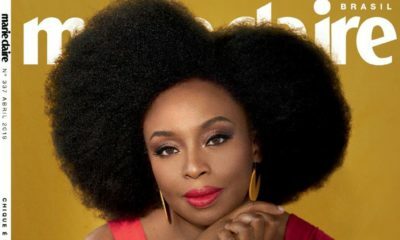 In just a few days, her new novel “Americanah” will be released in Australia (1st April 2013) and then in the UK (11th April 2013), US fans will have to wait until the 14th of May 2013 to read the book but we are pretty sure it will be worth the wait. Check with the bookstores and online book retailers in your country of residence for the local release dates. BN will also update information regarding the Nigeria release dates soon. From the award-winning author of ‘Half of a Yellow Sun,’ a powerful story of love, race and identity. 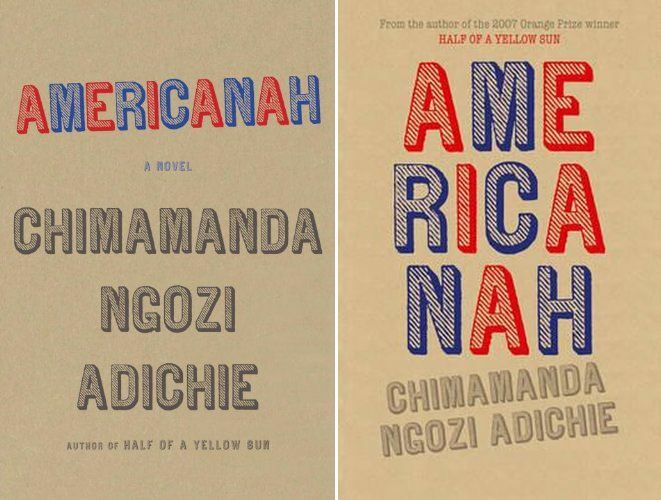 Fearless, gripping, spanning three continents and numerous lives, ‘Americanah’ is a richly told story of love and expectation set in today’s globalized world. 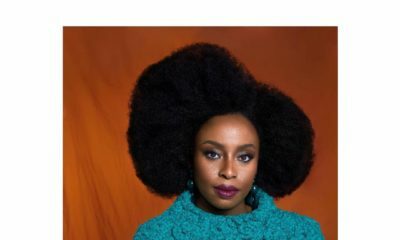 I love Chimamanda and I’ll definitely get a copy of this book when it’s released in Nigeria but I’m a bit miffed that it’s being released in Australia first. Is it that we do not appreciate our own or is it that her publisher is in Australia? I would appreciate an answer please. Keep up the good work BN!! For crying out loud, “appreciating our own” has nothing to do with the publishing industry. This stuff is figured out by the publisher who decides what schedule works best. But yes, she’s signed to a foreign publisher, though the book will be released through a Nigerian publisher shortly after. Excited much!! Can’t wait to get a copy in my hands! I read everything Adichie! i seriously can’t wait. the late chinua Achebe said she came fully made. Nice one. But BN u are late on this,,,,,dis story have been on indiewire.com for over a month now…BN readers go soon say I too dey waka 4 internet. Anyway, I like Chimamanda and my favourite book by her is Purple Hibiscus n I wish it could be made into a movie but d problem is dat we don’t have child actors in nollywood but British fit adapt am na……lmao! 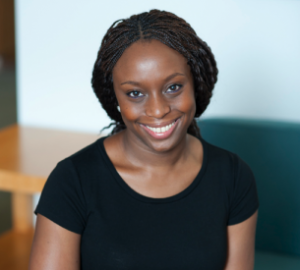 Chimamanda I wish u success on ya Americanah release. U are a good writer. I will definitely get a copy when it gets released here in Nigeria. Am not even happy it’s gonna be released first in Australia..why Chimamanda? We Nigerians love you na or is an Australian company sponsoring it? Anyway I still love u.
na wa o, how abt we loyalists in Nigeria? Chinua Achebe said she came ALMOST fully made. What I admire most about her writing is the end note which leave the reader guessing or making up closing event(s) for the story. It take a natural talent and genius to make create a work that has the ability to draw out the artistic writer in everybody. I am also miffed the first release is not in Nigeria but I’ll forgive her and her publishers for that. The Thing Around Your Neck is a relaxing read! I cant wait to pass on these works by outstanding writers to my children and grand children; such as Sefi Ata, Rasheed Gbdamosi, Chinua Achebe, Wole Soyinka (esp his memoirs Ake & Idanre), Aye Kwei Armah, Ama Ata Adioo, Zaynab Akali, T.M Aluko, Elechi Amachi, Cyprian Ekwensi, Buchi Emecheta Olaudah Equiano, Helon Habila, Festus Iyayi (esp Violence), Flora Nwapa, Gabriel Okara, Christopher Okigbo, Ben Okri, Osonye Tess Onwueme (esp The Reign of WAZOBIA), Niyi Osundare, Ola Rotimi, Zulu Sofola, Bode Sowande and the father of Nigerian novel in English language AMOS TUTUOLA. #phew the list is endless! all these outstanding writers in Nigeria? Where did we really go wrong? I wish we can transport them into governance. All you “miffers” should go and warm your behinds on a bench!!! You are even lucky she’s releasing it in Naija…so that Alaba boys will quickly get you a copy for one-tenth the price abi?? By the way…is “miff” the new tush thing to say around Naija these days….okay sha, my person abeg no Miff oo! A fine writer! Can’t wait to have this book! I am surprised at the some of the comments about not releasing the book here in Nigeria first. Which of her books were released in Nigeria first? she is signed on to Harper Collins and not the Nigerian publishers have a deal with her publishers. Half of a yellow sun and purple hibiscus were not released here first o! Abi no be oyinbo give am recognition first before we sabi am? Abi oh? Na oyibo give am literary prize before a lot of Nigerians twigged and started picking up her books. @ omolola, thank you oh. Please tell them. Meanwhile, cant wait to read the book. i just cant wait to get a copy in my hands!! Does it even matter where it’s released first? Some of you just want to make a mountain out of nothing..kmt you either wait to buy the book or not,it’s that simple. Distance is killing me,miss my boo! Watever,where ever..it will surely get to my hand! Hope it will still has the apt descriptive analyses like Half of a yellow Sun(I kept reading it over nd over and over) I’m even ashamed,blcas my sibling kept yabbing me! Yay excited!! Two new books to read in May. Ps BN you should check out the “Honest Toddler” on Twitter, written by a Nigerian-Canadian mum called Bunmi Laditan. Her twitter feed is hilarious and she’ll be releasing a book in May. Sister, people like you are traitors. This is Africa. The people you call African American are your mothers and fathers. This is Northwest Africa before there was an Atlantic ocean. You are such a traitor you cannot speak that truth. You think you are better than we are and that is just your ignorant mind. You have no idea of the journey of the race. Before there was a Nigeria we were. So we are your ancestors. so you can can take your attitude back to Nigeria with you because we are your ancestors and you fail to understand or recognize that. Simply go home. We are home. This is Northwest Africa and we are far more African than you are. So get real. You are an intellectual midget. I would never buy your book.